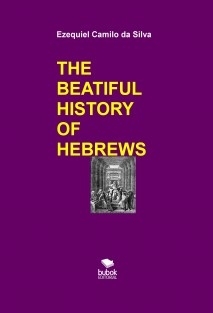 The history of the Hebrews is one of the most important in the context that is part of the scenario of biblical historiography and also in what we call the background that represents the history of mankind mainly in regard to the Christian historiographic religious Judaic themes. The Hebrews had their origins in Canaan, but there is the claim according to New Testament accounts that they are direct descendants of Adam through the so-called patriarchs who are part of the direct genealogy of Adam and that extends to the birth of Jesus Christ, Understanding that this version is used by the Christians and that it is not accepted by the Jews that maintains its blood origin through the patriarch Abraham who initiated the great descendants through the son Isaac who in turn, was the father of Jacob and thus god if the Origin of the twelve tribes of Israel, whose existence stretched from the time of Egypt to the family of Jacob, there remained for four hundred and thirty years, left the land of the Nile under the command of Moses, after Egypt was punished by ten terrible plagues And the miraculous and supernatural passage of the people who crossed the Red Sea on dry land with this open sea by the force of a powerful divine wind. After the pilgrimage in the desert, with the conquest of Canaan, came the time of the Judges and the three unified kingdoms.